Deposit Return Schemes – what exactly are they? You may have seen the term Deposit Return Scheme batted around lately- but what exactly does it mean? The way I like to think of it is this – with a DRS, you buy the contents of a bottle (glug glug, delicious smoothie), but only borrow the bottle. The tiny deposit paid on top of the drink is fully refundable once the empty bottle is returned. This bottle can then be recycled or (even better!) reused. By adding a value to something currently treated as worthless and ‘throwaway’, we end up viewing plastic bottles as a valuable resource and not just a one-time use object that ends up as rubbish. These schemes aren’t a new idea; they’re tried, tested and successful elsewhere (and I’m not just talking about the collection of jam jar and milk bottle collections some of us may remember.) Norway, among others, have a DRS in place that sees 96% of all plastic bottles returned and put back into making future bottles – a closed loop system that benefits both the economy and the environment. Dreamy. How’s it different to recycling at home? As it stands, UK households are failing to recycle as many as 16 million plastic bottles every day. Deposit Return Schemes don’t put curbside recycling out of work (in fact they would create jobs) and act as a complementary system by preventing collection trucks from driving empty bottles of air around (which is basically what they do now!) What’s more, these schemes sort bottles into types of plastic and keep them clean and in good condition – this in turn makes them a more valuable material for companies looking to buy either whole bottles to refill or older plastic to mould into new bottles. For the few bottles that are put in with the curbside recycling, councils will also be able to claim the refund for these. It’s time for a rethink on how we view plastic. 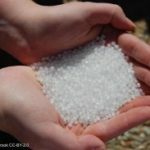 It takes a massive amount of effort to make a bottle – from pulling the oil from the ground, making the small nurdles of virgin plastic, designing, creating and marketing the perfect bottle, to then shipping them around the world. So it seems ridiculous that these bottles have such a short period of usefulness – i.e as long as it takes to drink the contents. 32% of plastic packaging escapes our current collection systems, often ending up polluting oceans and waterways and breaking down into smaller and more problematic pieces, known as microplastics, which may not ever biodegrade. And as existing Deposit Return Schemes have all but eliminated the loss of plastic where they are in place, we need to catch up and prevent further plastic pollution. There’s a variety of ways this can work, but the side of DRS that we’ll see are what’s known as a ‘reverse vending machines’. 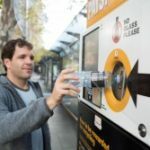 They work similarly to the cash sorting machines at supermarkets, taking your bottle – identifying what type of plastic it is, sorting it and then giving you your deposit back. This could be cash, or a voucher for the supermarket hosting the machine, or a donation to a charity of your choice. There is already massive public support for the introduction a DRS – these schemes ensure efficient recycling and less plastic pollution pouring into the ocean – what’s not to love? Click here to show your support for the creation of deposit Return Schemes across the UK.